Fairfield Warde's Reece Maniscalco pitches, during baseball action against Trumbull in Trumbull, Conn., on Wednesday May 20, 2015. Maniscalco threw a no-hitter. Think FCIAC baseball has been tough to predict before? With the departure of perennial last-place teams Harding and Bassick, the new-look FCIAC provides no breaks for teams in what is generally considered the most competitive league sport. In years past teams could give their pitching staff a rest against those two schools. However, with the pair no longer around, having a deep pitching staff is the No. 1 priority for teams hoping to make the league playoffs. As has been proven year after year, simply earn a spot in the final eight and a team can win it all. The top seed rarely takes home the title and having two hot pitchers can carry you to glory. Where schools may feel the departure of Harding and Bassick the most is in state playoff rankings, as two nearly automatic wins have been replaced with two games against out-of-league opponents. Each team in the league is also taking part in the first FCIAC-SCC baseball challenge with games between two of the best baseball conferences in the state scheduled for April 9. The question is will the tougher schedule mean the top teams separate themselves further from the pack or will parity reign? BEN CASPARIUS, STAPLES: There could have been any of several Staples players in this spot but we will go with Casparius. As a sophomore, Casparius went 7-0 as a pitcher, but really thrives as a shortstop. He hit .375 with eight home runs in the middle of a potent Wreckers lineup while playing vacuum-like defense. Casparius has already verbally agreed to play college baseball in the ACC at North Carolina, but has two more years of terrorizing the FCIAC ahead of him first. JOHNNY SPOTO, WESTHILL: If it seems like Spoto has been around for a long time it is because he has. The four-year varsity starter enters his senior season as one of the best shortstops in the state. Not only is he good with the glove, he is a line-drive machine at the plate with the ability to hit to all fields with power. REESE MANISCALCO, WARDE: Like Casparius at Staples, a couple of different Warde players could have occupied a spot on this list, but the dual-threat Maniscalco gets the nod. As a junior, he pitched to a 2.08 ERA with 51 strikeouts over 43 2/3innings pitched, tossing a no-hitter against Trumbull. At the plate he was a monster, hitting .426 with an OPS of 1.201. MIKE GONZALEZ, NORWALK: In a league full of talented pitching, Gonzalez will make his case as the top dog. Last year, he broke out with a 2.27 ERA with 36 strikeouts over 37 innings pitched in his first varsity season. At the dish, he hit .333 with a 1.033 OPS. The Bears have talent across the lineup, but will lean on Gonzalez’s arm to push them into the playoffs. JAY DEVITO, STAMFORD: DeVito hit .436 a season ago while committing just four errors in 55 attempts at shortstop. As one of the Black Knights’ few returning players, DeVito will be called upon to not just improve upon last year’s numbers, but also to be the team’s No. 1 starting pitcher after not pitching at all last season. STAPLES: On paper it looks like the Wreckers league to lose. They return talented players all over the field including Casparius, junior pitcher Ryan Fitton, senior CF Nate Panzer, senior DH/C Noah Yokoi and junior hurler Mike Fanning. Staples lost in both the FCIAC and Class LL state championship games and wants nothing more than to get back to both and take home what they left behind last season. NORWALK: The Bears were a surprise last season, coming on strong with a talented group of underclassmen and advancing all the way to the Class LL semifinals. With all but two players back from that squad look for Norwalk to be in the thick of the FCIAC and state race once again. Eddie McCabe, Eddie O’Hara and Reid Singewald lead the group behind Gonzalez. WARDE: Looking for pitching depth? Warde has it as well as sporting a large group of returning talent. Along with Maniscalco, John Natoli is back on the mound and would be most teams ace. Also back are Joey Deutsch, Jack Myers, Giacomo Brancato, Bobby Lazar, Clay Curley, Danny Dibartolomeo and Alex Steele. The Mustangs won it all two seasons ago and they are an odds-on favorite to get back to Harbor Yard this season. TRUMBULL: Not including Trumbull in this list usually means they will wind up at Harbor Yard come the end of May. Once again the Eagles have a talented roster headlined by the two-headed, left-handed combination of Joe Nemcheck and Chris O’Brien on the mound. They also bring back seniors Alex Rauso (C/OF), Justin Waldek (OF) and Kris DiCocco (C/3B) and have a large junior class with talented players battling for positions. RIDGEFIELD: Looking for a senior-dominated roster to make a run to the playoffs? Look no further than the Tigers, who will throw out a lineup mostly of seniors including All-FCIAC OF AJ Fabbri, 3B Johnny Passman, 2B Harrison Porter, 1B Mike O’Brien and C Nolan McDonald. On the mound, the Tigers will lean on junior Collin Lowe to lead them. APRIL 15, WARDE AT TRUMBULL: Might as well get going early. Last season Trumbull was no-hit by Maniscalco and would love another shot at the talented pitcher. Or maybe they want nothing to do with him. Either way, this one looks like a showdown of potential playoff teams. APRIL 9, AMITY AT STAPLES: This game is a rematch of last year’s Class LL championship and features two of the best baseball programs in the state. It highlights a day full of FCIAC vs SCC games in what is hopefully a continuing tradition between the two conferences. 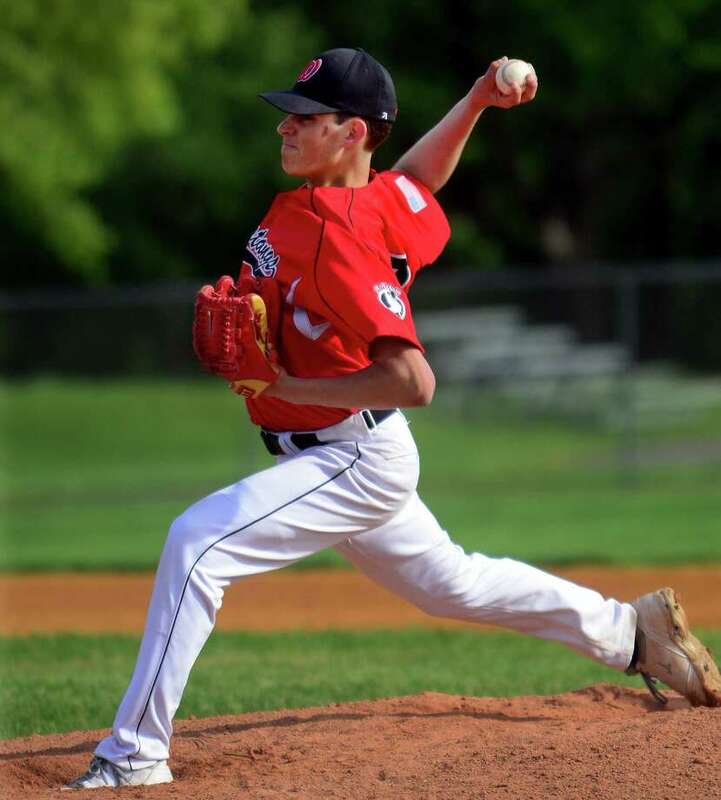 MAY 11, DANBURY AT RIDGEFIELD: Danbury has been the class of the northern part of the county for a few years now, but a talented Ridgefield team is ready to rule the area. A win here gives them that claim. MAY 11, WILTON AT STAPLES: A rematch of last season’s FCIAC championship game between two schools who always seem to get after it. MAY 13, ST. JOSEPH AT NORWALK: The Cadets could be back this year with solid players returning. They will have rounded into form by the time they travel to Norwalk for this one and could be sniffing a playoff spot of their own.